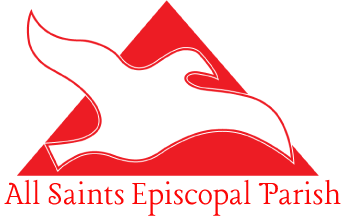 All Saints Episcopal Parish is financed solely through the financial gifts of our congregation. Giving in the form of Stock. To become a member of All Saints, you are asked to commit to attend worship on a regular basis (three or more times per year) and to contribute financially toward the ministry of the Parish. You do not have to be an Episcopalian to be a member of All Saints. (“Episcopal” is about the unique way we govern ourselves, not about the practice of following Christ). We only ask that you commit yourself to the work of Jesus: to feed and clothe the poor, to respond to the needs of your neighbor, to become a more loving and forgiving person, to visit those imprisoned, to practice justice and peace in your day-to-day life and to work with God for the reconciliation of the brokenness between the world as it is and the world as it could be, to work that heaven and earth might become one.